Since human beings began walking we have relied heavily on the health of our feet. The earliest record of anyone using shoes was discovered in what is now Missouri Native Americans appear to have worn foot coverings 8,000 years ago. As soon as people started to cover their feet, they began to experience friction from those coverings. Blisters soon followed. Since then, men and women have tried to limit the effects of friction on the foot. All sorts of applications have been tried. Not be affected by moisture. 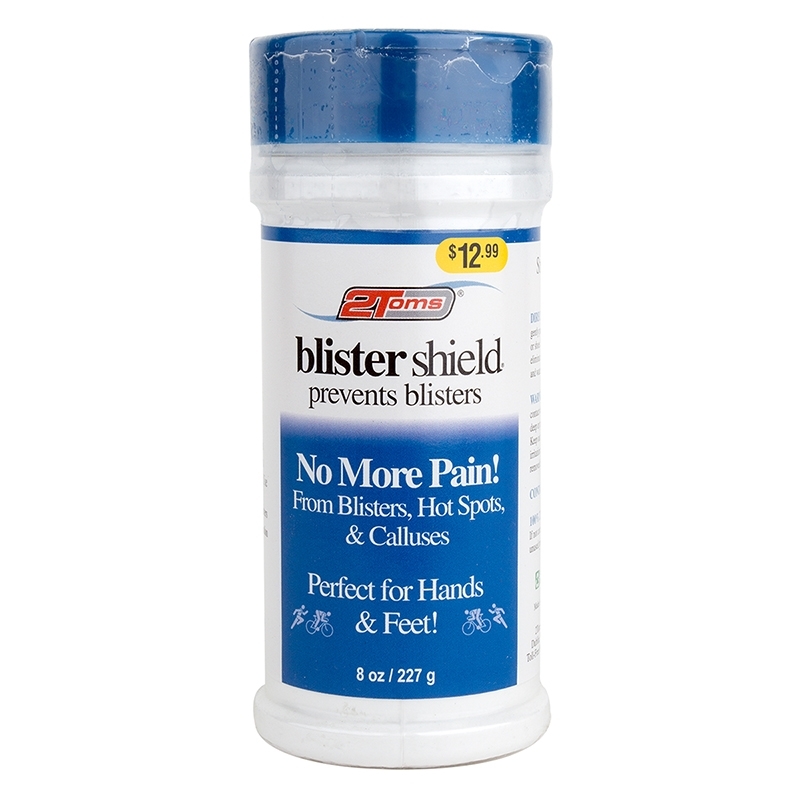 Other, so called "all natural", blister prevention products on the market are derived from plant and animal fats, and function similarly to greases and ointments like petrolatum. Most inorganic powders absorb moisture and reduce friction: however, as they absorb moisture their effectiveness in reducing friction declines. 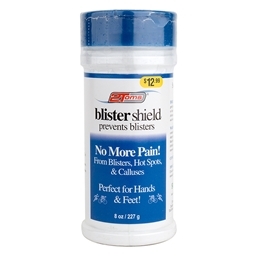 BlisterShield(r) creates an almost frictionless surface, reducing heat build-up and blister formation. Additionally, the powder does not absorb moisture, rather repels it, keeping the skin relatively dry; similar to clothing made of "high-tech" synthetic fibers that wick water away from your skin, rather than absorbing moisture like cotton. PART NUM 474621 Usually ships in 1-2 business days.